Where are your moulding manufactured? 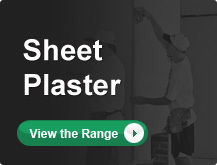 All our mouldings are designed & manufactured at our facility in Essendon Victoria. Do you keep all your range in stock? Here at F.Vitale & sons we try to stock 20-30 lengths of all cornices at all times, our Victorian cornices are more popular so we try to stock upwards of 50 lenghts of each at all times. If what you are after is not in stock it shouldn't take longer than one week. How long will it take to fill our order if it is not in stock? Ninety percent of orders are filled within two weeks. Can you match my existing cornice if it is not a stock line? We can re-manufacture any cornice. Whether it be a large cornice with a pattern or a little plain victorian cornice. We Re-manufacture a lot of different cornices and other decorative plaster products. We routinely delver to the Melbourne metropolitan area. This can usually be done the next day if the items are in stock. Can you deliver to country Victoria. We can deliver anywhere, if we can't deliver we can work together and work out a solution on how you can recieve what you need. Can you arrange freight to distant and interstate locations. Yeh sure, we can try to organise freight to the best of our ability. We can package your decorative items to be picked up or we can organise delivery.